8 days from £1380pp plus international flights. If you have limited time, or want to add a visit to Costa Rica to a longer holiday in the region, this 7-day holiday fits the bill perfectly. The well-planned itinerary makes the most of your time with private transfers between the 3 different locations and some guided tours already booked for you. You'll also have free time, so can be as active or restful as you wish. 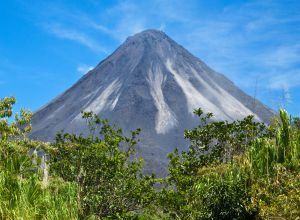 Arenal Volcano and National Park lie in the centre of the country and is a great area to explore on foot with a choice of many walking trails. 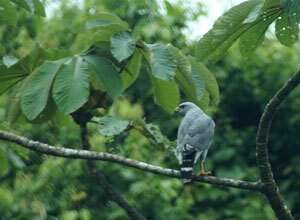 A guided walk is the best way to gain an understanding of the habits and wildlife. 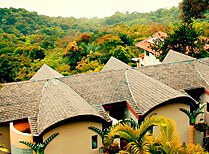 Arenal is also known for its adventure activities. 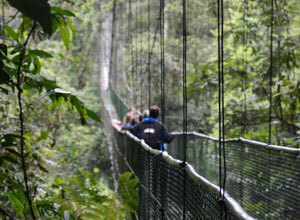 Not wanting you to miss out we've included a private Sky Trek tour for a glimpse of the world above the forest canopy. 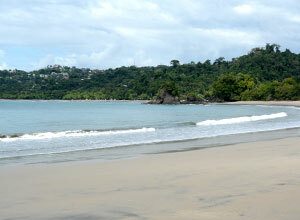 Next you'll travel to the Pacific coast and one of the country's best known parks, Manuel Antonio. This is a unique mix of forest, mangroves, lagoons, beaches and islands. With so many activities available, we've left your days here free so you can choose how best to fill them. When you're not out exploring you can swim in the hotel's pool and watch monkeys and toucans amongst the trees in the gardens. 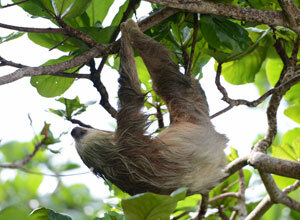 This is a week filled with fascinating wildlife and beautiful scenery. From mountain to mangrove, and forest to beach, this trip is a mini showcase of the best of Costa Rica. The only danger is that it may leave you wanting more! 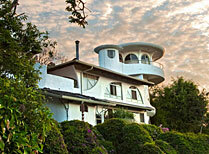 On arrival at San Jose airport a local representative will meet you and drive you 30 minutes to your overnight hotel, the charming Finca Rosa Blanca. 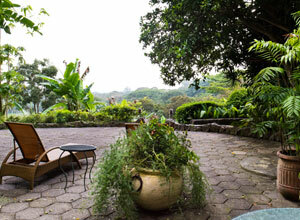 Set on a working coffee plantation, the hotel is owned by an artist and is full of colourful paintings which depict local scenery and wildlife. The day is free so you can relax after the flight. Take a dip in the infinity pool, stroll among flowers and fruit trees in the gardens while watching birds and butterflies, or sit back and enjoy the view from your terrace. 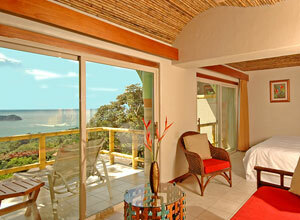 You'll soon succumb to the slower pace of life in Costa Rica. Price notes: 2019 guide price pp sharing: Jan-April £1610. May-June and Sept-Oct £1380. July-Aug £1545. Nov-Dec, please ask. Please note that holiday periods such as Easter will attract a supplement on the above prices. Meet and greet on arrival at San Jose Airport, private transfers with the exception of Arenal to Manuel Antonio where this is on a shared basis, accommodation as specified, meals as specifed and tours - Arenal ~ Sky Walk (private tour) - Manuel Antonio ~ National Park tour (shared tour). International flights and taxes, travel insurance, meals not shown, drinks, optional excursions and activities at lodges, tips, personal expenses and visas (currently not required for UK passport holders). This holiday starts and ends in San Jose. International return flights from the UK will cost from around £600 per person, depending on season, route and availability. We will be happy to look at flights for you. The country's capital city. You're bound to pass through en route as the main international airport is here. So make some time to visit the museums, restaurants and other places of interest. A great place for combining time on the beach with wildlife viewing. A very popular park with good swimming. 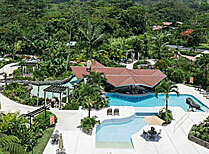 Comfortable, air conditioned accommodation, a choice of restaurants, pool and hot springs all set in lush gardens near Arenal Volcano. Stylish, all-suite hotel set in gardens full of fragrant fruit trees and surrounded by a working coffee plantation 30 minutes from San Jose. 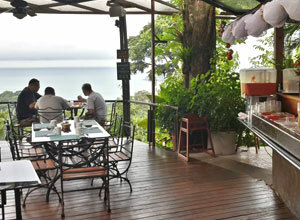 Si Como No is an eco-resort on a hill above one of Manuel Antonio's lovely beaches, offering land and water-based activities.